Book Blogger Hop, a meme hosted at www.crazy-for-books.com. Ooh man. I would probably pick either The Unbecoming of Mara Dyer by Michelle Hodkin or Shatter Me by Tahereh Mafi. (Nope, I can't choose just one :D). 1. They have been getting heaps and heaps of hype ever since BEA. 2. They both sound like books I would purchase anyways. 3. Seriously, look at the synopsis for Mara Dyer and tell me that doesn't interest you. 4. Did you look? Also, pretty much every review I've read about it has been glowing... well, except for that random one lady on Goodreads who has a knack for giving books I like only one star. 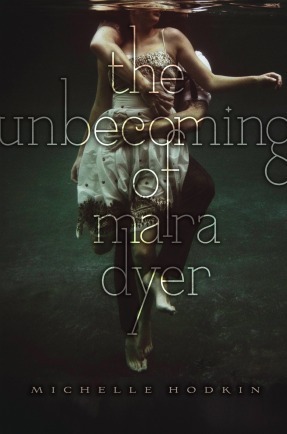 But Mara Dyer looks like a supernatural thriller and I would LOVE to read more of those. 5. 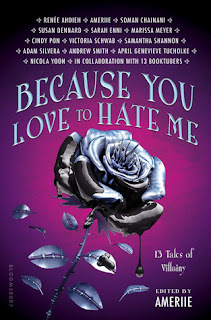 Shatter Me as a mix of X-men and The Hunger Games? Um, yes please! And it's already been optioned for film. I'd love to see that happen. 7. Tahereh Mafi is funny on Twitter. 8. 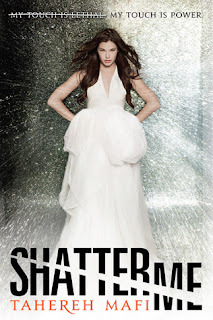 The teaser trailer for Shatter Me is one of my favorite book trailers. Really, need I say more :D? Both these books have TO-DIE-FOR covers! Just dropping by via the blog hop. I chose Shatter Me too, it looks great! 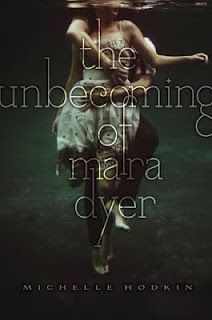 I too can't wait wait the Unbecoming...it looks mondo awesome! I would love Shatter Me too! I actually have a copy of Mara Dyer though.. Both of these books sound really good! Feel free to check out my BBH here. New follower! I have preordered Shatter Me. Can't wait! Friday Post!